Since losing a close unanimous decision to Keith Thurman in June 2016 at Barclays Center in Brooklyn, New York, Shawn Porter and his father, Kenny (who manages and trains his son), have made it clear they are longing for a rematch. There had been rumblings that a second chapter was being negotiated, but the elder Porter flatly denied that there was any truth to these rumors. “And both of us at that time would say, ‘OK, we’ll negotiate it.’ But nobody ever contacted me on that,” continued Porter, whose son captured the vacant WBC welterweight title by defeating Danny Garcia by unanimous decision in a hard-fought bout in September. That particular belt had been held by Thurman, who voluntarily relinquished the title earlier this year. 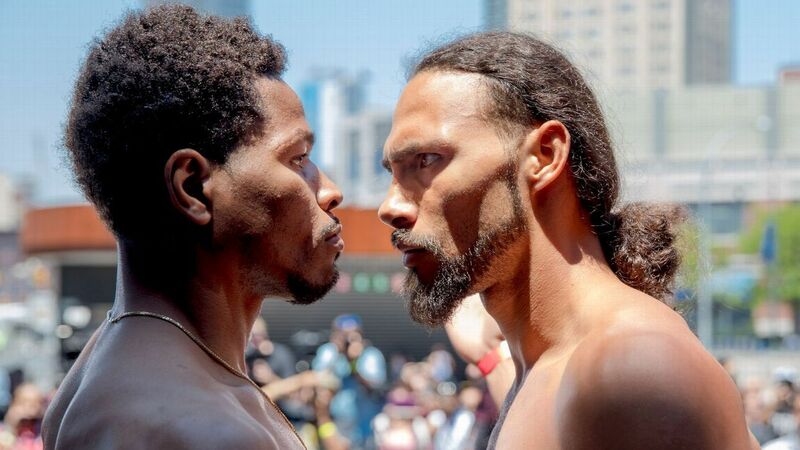 Thurman (28-0, 22 KO’s), who turns 30 in a couple weeks, has not fought since defeating Garcia by split decision in March 2017 to unify the WBA and WBC 147-pound titles. So what’s next for Porter (29-2-1, 17 KO’s), who has chafed at his relative inactivity the past several years? Shawn Porter and Spence are both advised by Al Haymon and box under the Premiere Boxing Champions banner. So for now, the 31-year-old Porter will have to look for other dance partners. “For Shawn, right now, it’s March or April and it’s probably [against] who they [WBC] say is his mandatory [challenger],” Kenny Porter said. Super Rugby Round 10 preview: What mindset are Folau’s Tahs teammates in?